Hundreds of disabled people across the country can enjoy the many benefits of cooking after 100 new inclusive kitchens were fitted at Leonard Cheshire Disability services. 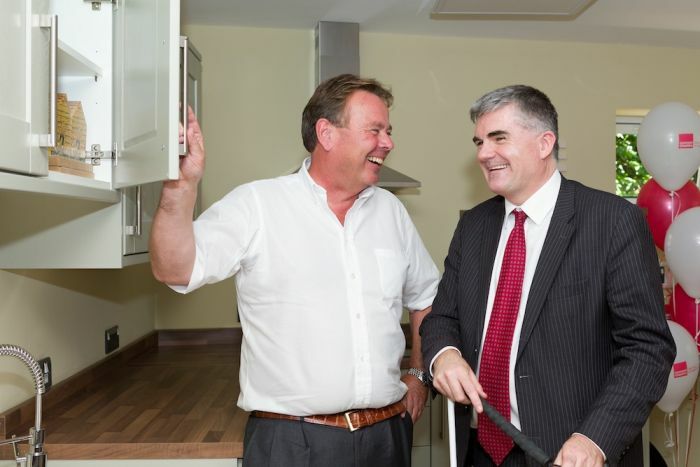 Donated by kitchen and appliances manufacturer Howdens Joinery, these kitchens improve disabled care home residents’ and day centre users’ well-being and help them live more independently. These inclusive kitchens provide easy access to cabinets, lower worktops for sinks and preparation areas, and raised plinths to allow wheelchair plates to pass below. 41 year-old Karen Watson from a Leonard Cheshire care home in Yorkshire is one of the many disabled people to have benefited from these kitchens. The 100th inclusive kitchen was officially opened on Wednesday 5 July at the Leonard Cheshire run care home, the Manor, in Brampton, Cambridgeshire. The intimate ceremony was attended by Leonard Cheshire chief executive Neil Heslop and Howdens’ chief executive, Matthew Ingle. Neil Heslop said: “Howdens have been with us for a long time and have supported us in so many different ways with our Can Do volunteer programme, our international work and in donating inclusive kitchens, which is what we celebrate today. “Having a fully accessible kitchen for our service users is extremely important for their independence. They can now join in on all aspects of the kitchen: from preparing a meal, to cooking it, eating in it and of course the washing up! Leonard Cheshire Disability is the UK’s largest voluntary sector provider of services for disabled people. 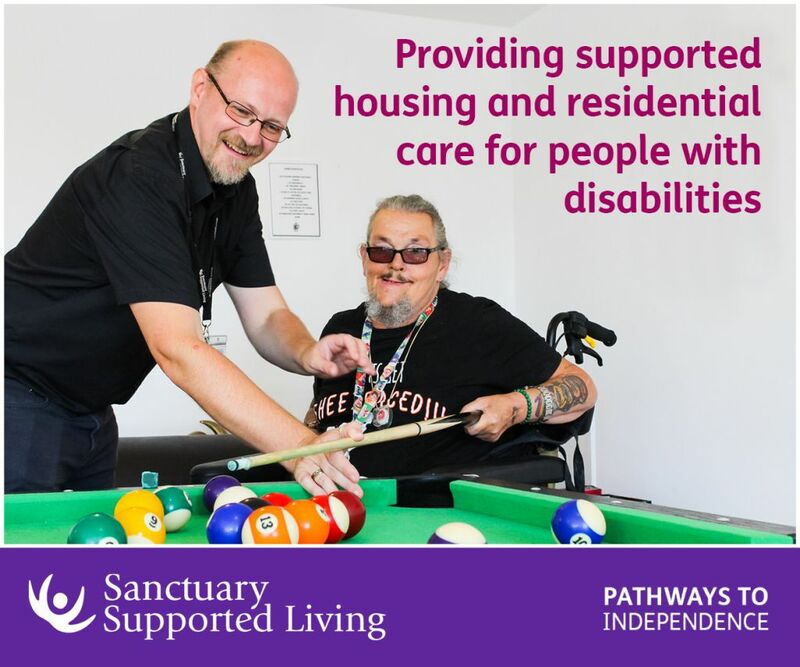 Our services include high-quality care and community support together with innovative projects supporting disabled people into education, employment and entrepreneurship. Worldwide, our global alliance of Cheshire partners supports disabled people into education and employment, and works in more than 50 countries. 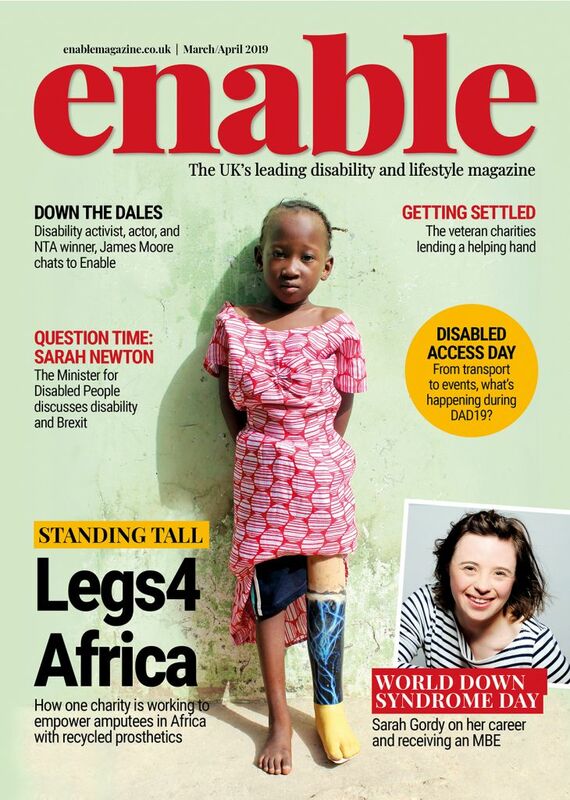 Visit: www.leonardcheshire.org or follow us on Twitter: @LeonardCheshire. Be the first to comment on "Hundreds of disabled people empowered to cook thanks to 100 inclusive kitchens"